Vatican City, Jan 23, 2017 / 07:41 am (CNA/EWTN News).- Frequently an outspoken critic against organized crime, Pope Francis again came out with harsh words for those involved in the mafia and other criminal activities, which he said are “stained with blood” and go directly against the faith. “The phenomena of the mafia, which is an expression of a culture of death, is (something) to oppose and to fight,” the Pope said Jan. 23. 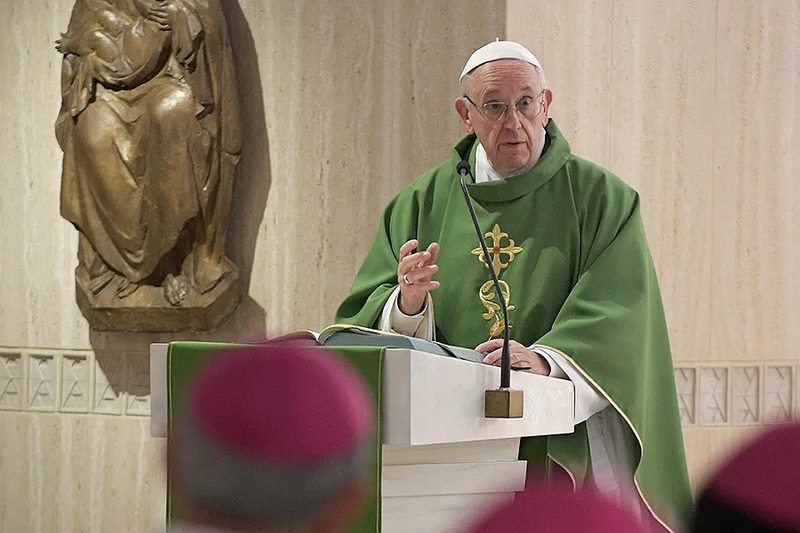 Pope Francis spoke to members of the National Anti-Mafia and Anti-terrorism Bureau during an audience with the organization in the Vatican’s Apostolic Palace. 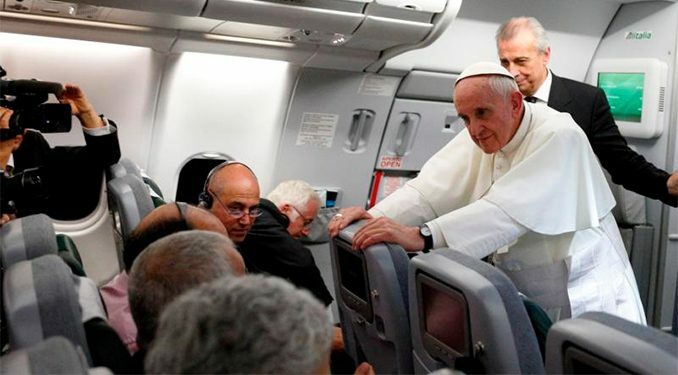 While the Pope’s words didn’t necessarily imply an official canonical excommunication, they shocked many, especially given the fact that many “mafiosi” claim to be devout Christians and even go to Mass, while at the same time carrying out their crimes. In his speech to the Anti-Mafia Bureau, Francis pointed to the three main criminal organizations that operate in Italy, mostly in the south: the Mafia, who operate mainly Sicily; the Camorra, who run criminal activities largely in Italy’s Campagna region, particularly in Naples; and the ‘Ndrangheta, who mostly work in Calabria. In addition to these three main criminal circles in Italy, another more specific organization, the Sacra Corona Unita, operates largely in Puglia, also in the southern half of the country. Calling organized crime a “social wound,” the Pope said these groups also constitute global challenges that the international community must face “with determination,” and urged greater collaboration among States. “These are very serious crimes that affect the weakest of the weak,” he said, and called for an increase in initiatives aimed at both protecting victims of trafficking and providing assistance to incoming migrants. “Those who leave their own countries due to war, violence and the persecutions have a right to find adequate welcome and appropriate protection in the countries that call themselves civil,” he said. Pope Francis closed his speech pointing to the work many parishes already do in these areas, and prayed that the Lord would give them the strength to continue going forward in their fight against mafia, violence and terrorism. Vatican City, Feb 8, 2018 / 10:08 am (CNA/EWTN News).- In his daily homily Thursday Pope Francis drew a distinction between the biblical figures of David and his son Solomon, saying that, like David, sinners who repent are still able to become saints, but the corrupt will not achieve holiness. 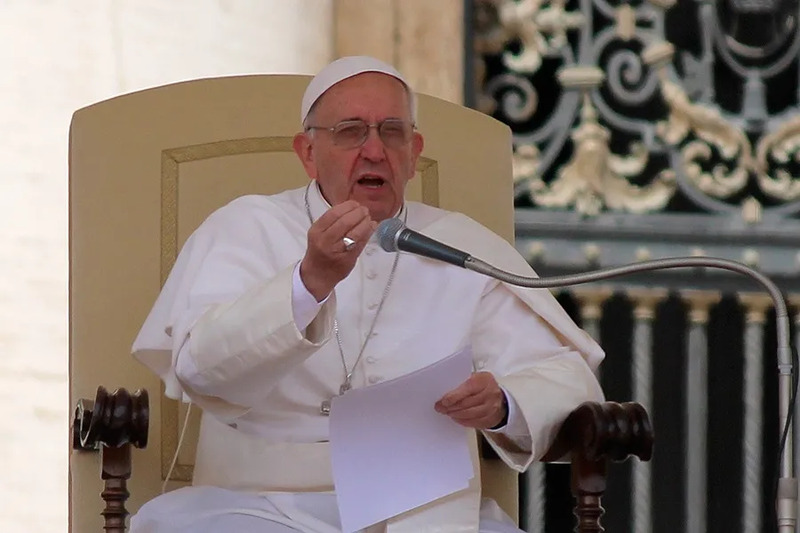 Speaking from the small chapel inside the Vatican’s Saint Martha guesthouse where he lives, the Pope centered his reflection on the day’s first reading from the First Book of Kings, which recounted how God became angry with Solomon for worshiping false gods that his wives believed in. In the reading, God told Solomon that he would “deprive you of the kingdom.” However, for the sake of David’s righteousness, God said he would take it from Solomon’s son instead, leaving him only a small portion of his kingdom. The reading recounted something “a bit strange,” Francis said, because God took away the kingdom from Solomon, but didn’t say whether he had committed any major sins. However, from scripture we know that David had difficulties and was a sinner. This can be explained, Francis said, by the fact that David, knowing he had sinned, asked for forgiveness, whereas Solomon was praised throughout the world, but never recognized his fault when he distanced himself from the Lord and followed false gods. Despite being praised for his wisdom, “the great king Solomon wound up corrupted: serenely corrupt, because his heart was weakened,” the Pope said, adding that the same danger exists for every Christian. This subtle sliding away can happen to anyone, he said, saying the remedy to ensure this doesn’t happen is to always be “watchful” and vigilant.